Coma 1978 is a suspense film starring Genevieve Bujold, Michael Douglas, Elizabeth Ashley, Richard Widmark, Rip Torn, and was directed by Michael Crichton. The film begins at Boston Memorial Hospital, where a young girl is brought in for minor surgery and then for no apparent reason is brain dead and in a coma. It grabs the attention of Dr. Susan Wheeler and the incident continually nags at her because it just didn't make any sense. As time goes on she starts noticing that there are several other cases where a patient for the most part was healthy, coming in for something minor and also ends up in a coma. While doing some investigating on her own, she starts seeing two things that are similar in each case. Each patient was taken to the same operating room, OR 8, and then later they were all taken to the same facility called The Jefferson Institute. The further she tries to investigate the more she begins to feel like she can't trust anyone. 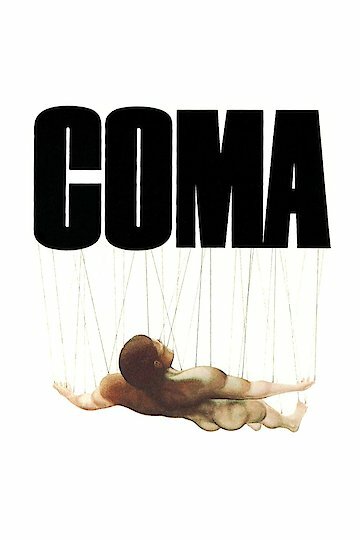 Coma is currently available to watch and stream, buy on demand at Amazon, Vudu, Google Play, iTunes, YouTube VOD online.